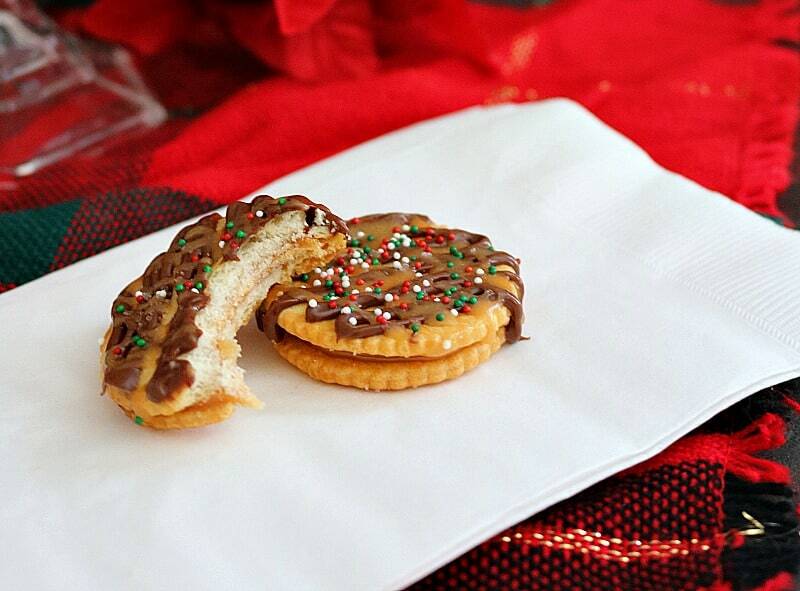 RITZ Crackers are a traditional holiday staple in our house. Sweet or savory, this buttery cracker is the perfect addition to your family celebrations! The holiday season is here and in our house that means parties, entertaining and food are on my brain 24/7. Either I am planning a get together for home, preparing food for my husband’s work or my daughter’s school. It seems like an every day occurrence once December hits. 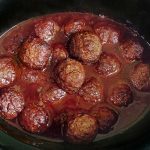 Even though I love to prepare traditional holiday food, I like trying new and fun ideas that will impress our family and friends. 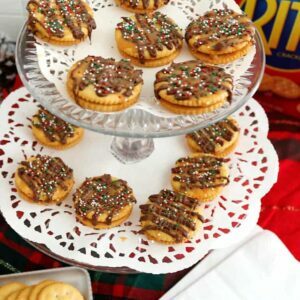 One holiday staple that I have been using for years is RITZ Crackers, they are kind of a family tradition. I remember seeing my mom’s holiday grocery list with my dad’s hand writing at the bottom…. “RITZ (2)”. Two boxes. He use to say that one was for him and the other for her to do whatever she wanted with, as long as he had his own! My dad was known for sitting down with a pepperoni stick, cheese and a sleeve of RITZ Crackers as a snack. There is just something about the buttery, perfectly salted cracker that makes them great in all kinds of recipes. 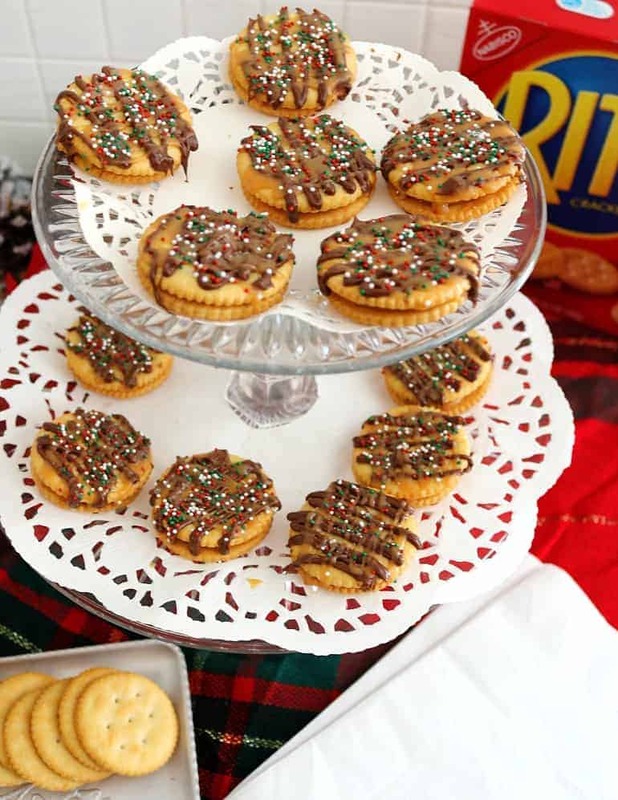 The versatility of RITZ Crackers allows me to get creative and showcase my holiday entertaining skills. 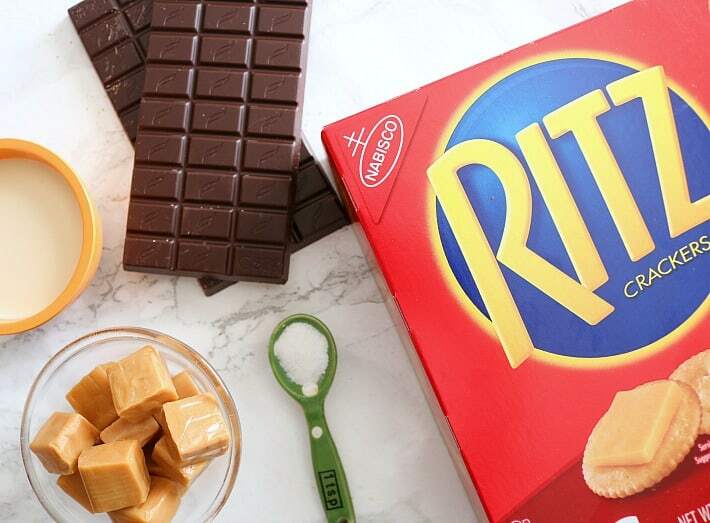 I like the combination of sweet and salty, which is how these simple little Salted Caramel Chocolate RITZ Crackers were born. I make them every year for our “pre-holiday” party and often on football Sunday. 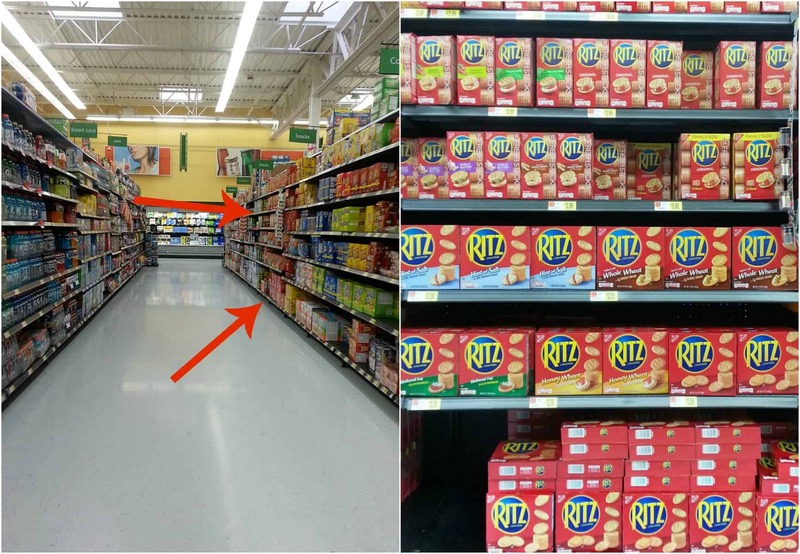 You can find RITZ Crackers and all the other ingredients right at Walmart. Look for the RITZ Crackers either on a holiday display (our store didn’t have one up yet) or in the cookie and cracker aisle. Look for the huge selection of big red boxes! 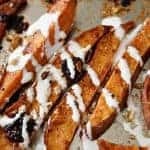 Here is how to make these easy, sweet & salty treats for your next holiday party or get together! NOTE* I scaled my ingredients down to make 16 sandwiches. The recipe is written to make about 4 dozen. To make less, simply half the recipe. Preheat oven to 350º. 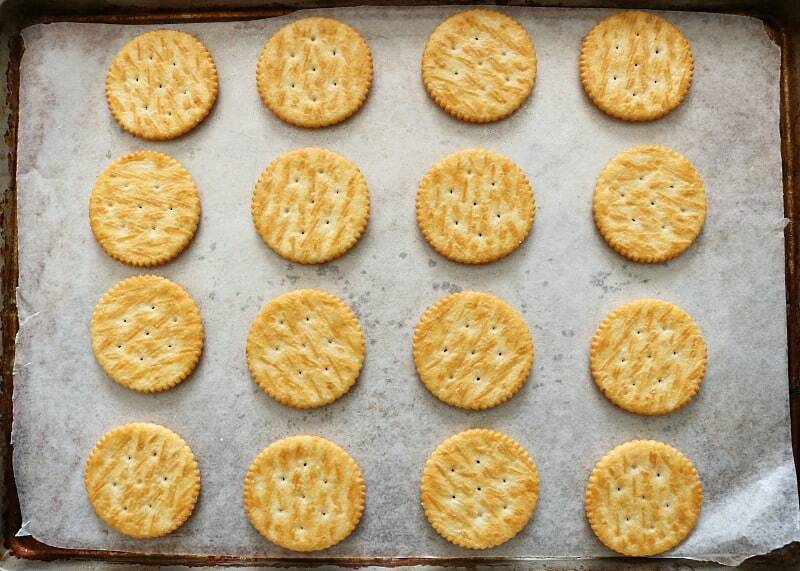 Lay RITZ Crackers out on a sheet pan lined with parchment paper. Unwrap caramels, cut in half and place one piece on each cracker bottom. Bake for 8 minutes or until caramels are soft and begun to melt. Top caramels with another cracker. Press down lightly. In separate microwave safe dishes- melt chocolate and caramel. Add 1 tablespoon of eggnog to the chocolate. (I use 1 tablespoon for each chocolate bar, so 2 bars would be 2 tablespoons). Add 1 tablespoon of eggnog per 16 caramels, 1/4 cup if melting the whole bag. Spoon melted chocolate and caramel into separate zip top or piping bags. Grab some fun and festive nonpareils. Snip a very small hole in the tip of the bag. 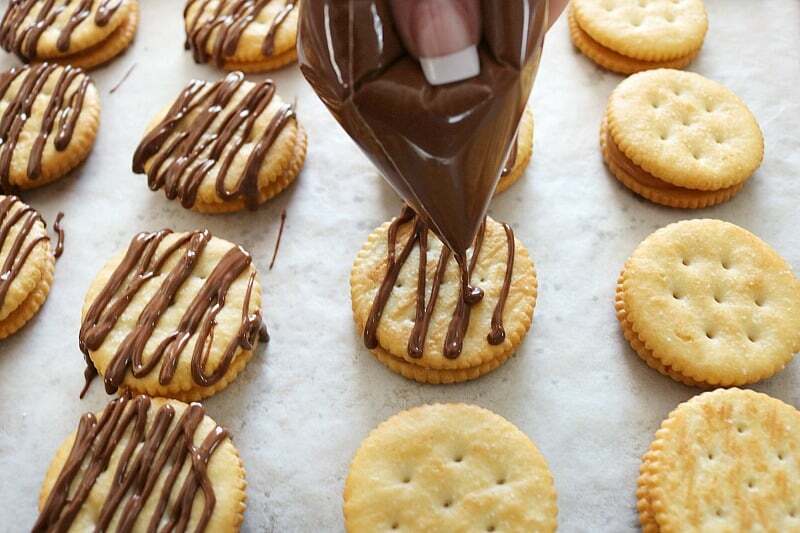 Drizzle chocolate on to crackers. Repeat the process with caramel and top with nonpareils. 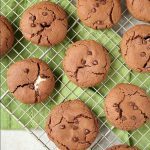 Grab the sea salt and give them a sprinkle! 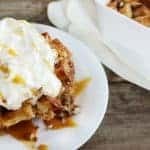 Topping them with sea salt creates the perfect balance of buttery, salty and sweet perfectly layered into a delicious bite! 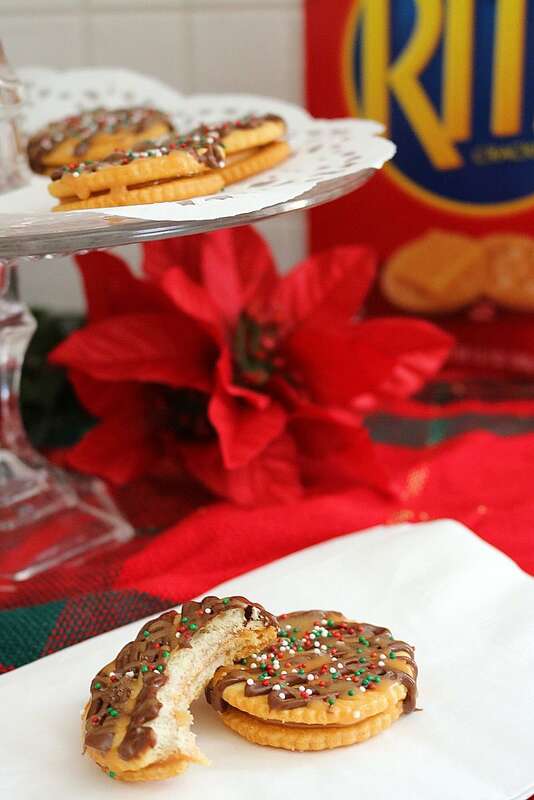 Serve on a platter, party tray or pack them in a holiday tin! 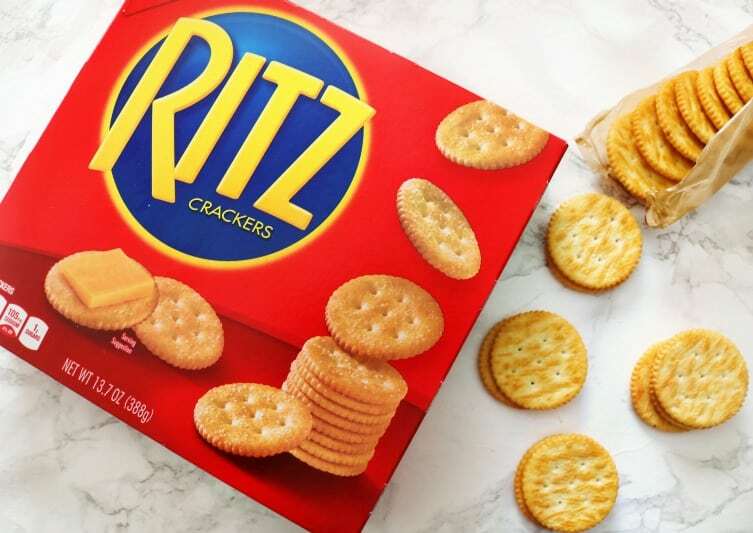 Don’t forget to grab your iBotta coupon above and save on your RITZ Crackers purchase! 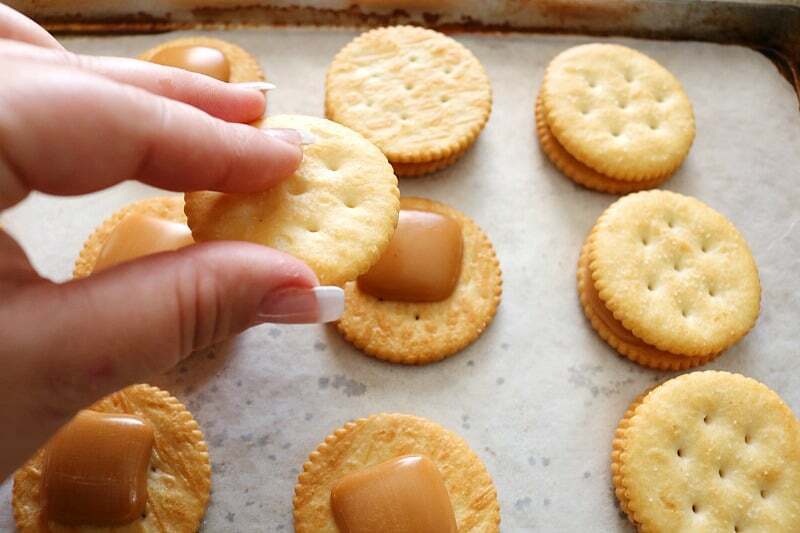 What is your favorite way to enjoy RITZ Crackers? Comment below! 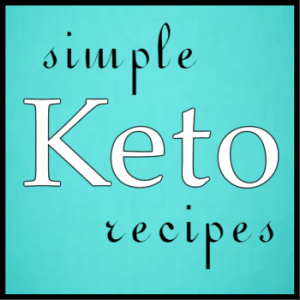 Recipe can easily be cut in half to make less. You may have ingredients left over. 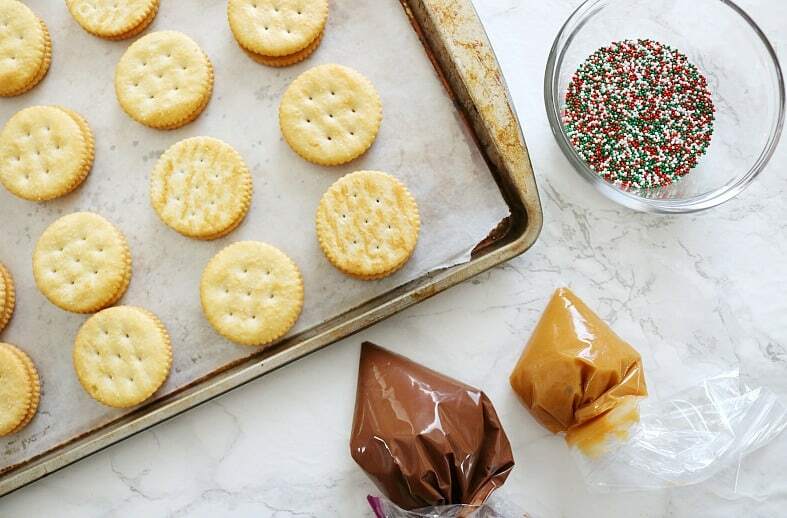 Lay crackers out on a sheet pan lined with parchment paper. 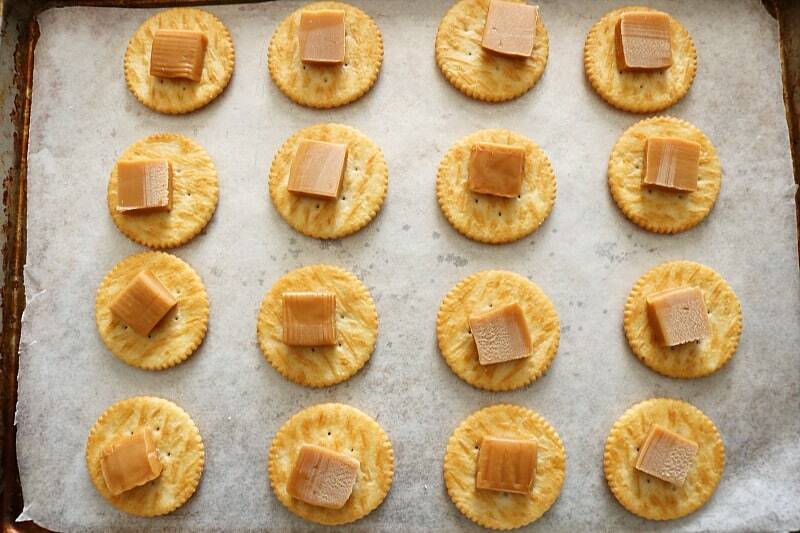 Cut caramels in half and place one piece on each cracker. 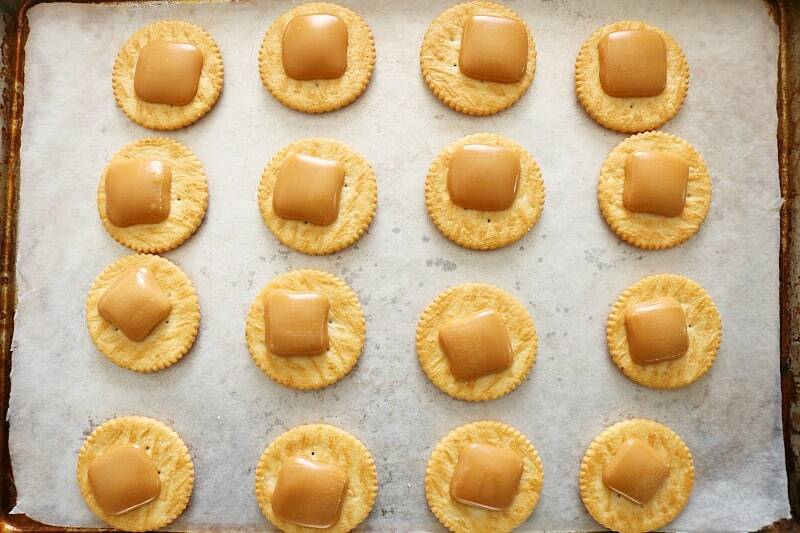 Reserve a small handful of caramels for melting to drizzle. Bake for 8 minutes. Remove and top with cracker. Press lightly. In microwave safe dishes- add chocolate to one and caramels to the other. Pour 1 tablespoon eggnog into caramels and 3 tablespoons into the chocolate. Heat for 30 seconds at a time, stirring between intervals until melted. Add each to a piping or zip top bag. 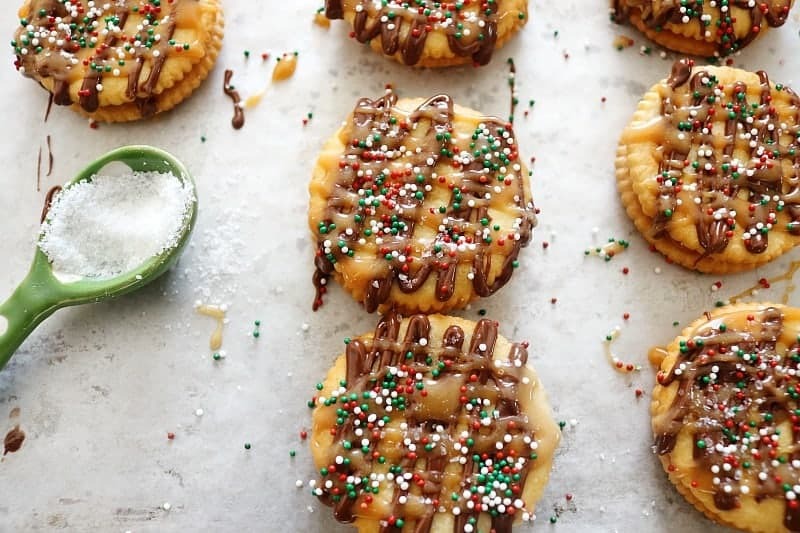 Drizzle over crackers, sprinkle with nonpareils and sea salt.